Whether you’re labeling directly to books, heating vents, steel coils or cheese blocks, there is a FOX IV solution for labeling your product. FOX IV has designed many direct product labeling systems. 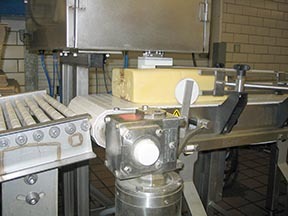 These systems include either a FOX IV label print and apply labeler or label applicator, depending on the application. They may also include peripherals such as weigh-scales, custom mounting, material handling, scanners, verifiers, enclosures or integrated touch-screen computers. Label application methods for direct product labeling include tamp, tamp-blow, blow-on, or wipe on. 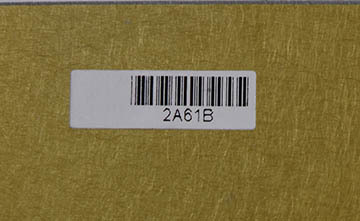 FOX IV’s reputation for system integration is an advantage in product labeling applications. Many applications require some form of integration, whether that is software integration, material handling integration or both. FOX IV are experts in designing product labeling systems to meet each customer’s particular requirements. About FOX IV Technologies, Inc.